Expense management is a crucial part of any business, large or small. It can also take a lot of time to organize receipts and collect information from suppliers, but it doesn’t have to be that way. 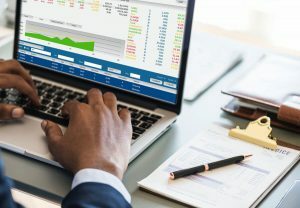 There are several tools that Kindret Business Solutions uses to help businesses get the most out of their bookkeeping in Kelowna and save time. We’ll be going over more of these tools in the next couple of months. One such tool is Receipt Bank; a software tool that deals with the expense tracking side of companies and can be a handy way to manage said expenses. It saves time, and does so in such a way that makes it easy for all parties to use and manage. Let’s say a salesperson for a small company went to a business conference in Kelowna. Food was provided, but they still needed to pay for gas. With Receipt Bank, employees can use the free Receipt Bank app (available on both Android and iPhone) and sign in to their company account their accountant or bookkeeper has provided. From there, they can use their smartphone’s camera to take a picture of their gas receipt, review it, and send it off to their accountant or bookkeeper with a simple click. Now they are able to see its status in the app homepage and check on when it’s been processed for reimbursement. It’s also easy for suppliers to submit invoices. Your accountant can provide a single email address that all supplier invoices can go to for review and processing. Basically, everyone in the company wins. It’s easy for employees and suppliers to submit receipts and invoices, and it’s even easier for accountants and bookkeepers to manage and control documents once they’re submitted. The pricing model is also advantageous and attractive to many businesses since the paid tiers aren’t set up by number of users. Instead, pricing is set up by the number of items submitted. This is a much better system for companies since it caters to all sizes of businesses. For example, for small businesses (like some of those in Kelowna) can get the most out of this software. Since they typically don’t have too many expenses, they can pay for a smaller tier and still get full access to the Receipt Bank software. However, it also works for large companies who also don’t submit many expenses. When you can save time with bookkeeping and accounting, it’s always advantageous to any company. Receipt Bank does just that. Having the right tools for any job improves efficiency and quality of work. Kindret understands this kind of bookkeeping software and can help you get the most out of your bookkeeping and accounting with a whole swath of tools designed to keep your business financials running smoothly. In fact, Kindret has the premium version of Receipt Bank and all clients that sign up with us have access to this robust version (which includes memorized coding, expense reports and tracking classes) without having to incur the extra costs (a shameless plug, we know).